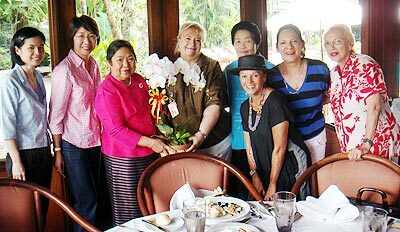 September 27 saw a special birthday party for Marji (centre) at the Amari Rincome’s La Gritta Restaurant. @mospheres opened on the 1st floor of Tawan Plazza (opposite Panthip Plaza) under the guidance of manager Dom (4th left), serving delicious ice creams, fruit shakes and goodies from their bakery. 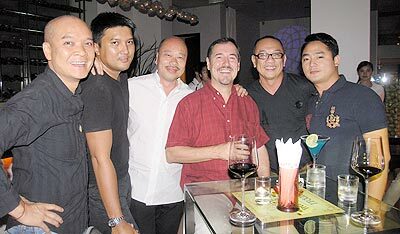 Businessmen in Chiang Mai choose the D2 Hotel for networking, with the occasional drink. 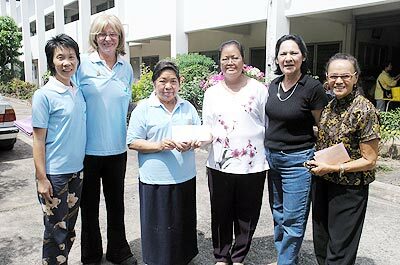 Members of Zonta receiving a donation for the support of their “Adopt a Grandma” Program. 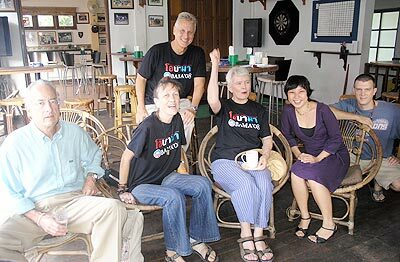 Litter clean-up volunteers meet up with the Doi Suthep National Park Superintendent Ampon Paanmongkol. Bright-eyed and bushy-tailed, the Obama camp met at the UN Irish Pub early last Wednesday. The Four Seasons Resort management’s staff party at the Green View Hotel.